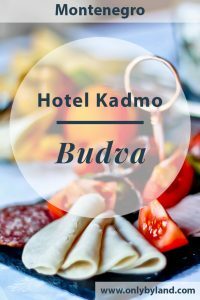 You should consider the Hotel Kadmo if you want a quiet location in Budva but still be within walking distance of all the action. 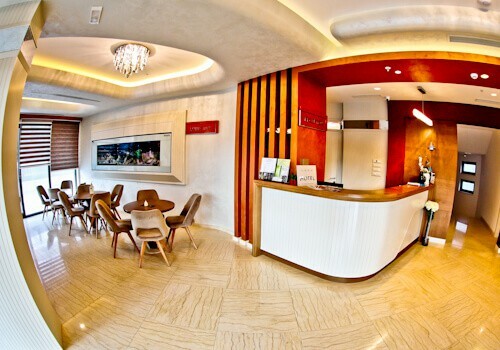 For the best room rates visit the Hotel Kadmo website. Alternatively, visit their social media channels through Facebook or Instagram. Hotel Kadmo is a modern hotel, in fact it was built in 2017. 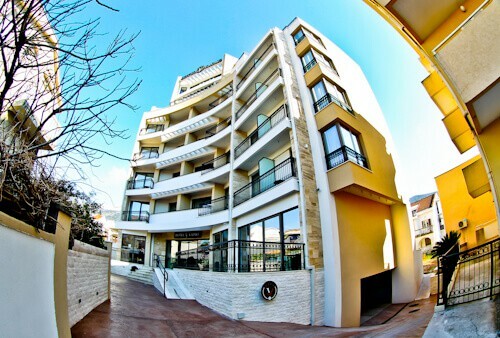 It’s located in a quiet part of Budva but still within walking distance of the beaches and nightlife. In addition there’s complimentary and secure guest parking. The hotel is perfect for those traveling to Budva on business, as a family, as a couple and for solo travelers like myself. The staff at Hotel Kadmo are extremely friendly. You’ll feel like you are staying with family! Any questions you have about Budva the staff will be happy to assist you. For example I wondered how often the buses to Podgorica were and they called and found out the timetable. Additionally the staff shared WhatsApp details with me so if I needed any assistance whilst exploring Budva they could help me. If you’re traveling to Budva with kids, the huge fish tank beside the reception desk will keep them occupied for hours! The guest rooms are modern and spacious. Complimentary, reliable and fast WiFi is available throughout the hotel including the room. Cable TV is also available with English channels. In addition to the modern room, you’ll have your own private balcony. Make sure you request a room with a view of the Adriatic Sea! 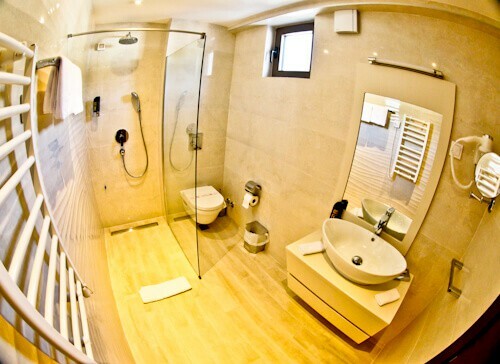 As well as modern rooms, the en suite bathroom is equally modern and spacious. There are walk in rainfall showers and all required amenities. Yes, there is a hairdryer in each bathroom! Towel heaters are always luxurious as there is no better way to end your shower than to dry off with a warm towel. I did not have a balcony facing the Adriatic Sea but could still see it! You can also request a balcony directly facing the sea. As well as the sea, you see the famous Island of St. Nicholas. From the balcony you can watch the Budva sunset, which can be magical. If you don’t feel like a day at the beach, you can relax at the private hotel swimming pool. 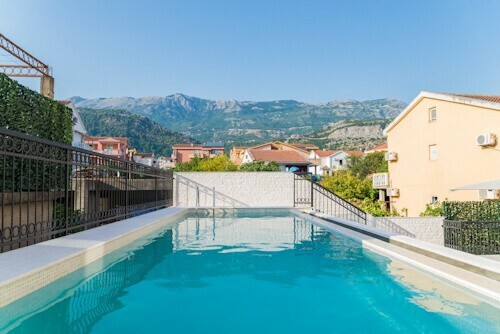 The swimming pool is free for hotel guests and perfect for the hot summer months in Budva. The complimentary buffet breakfast includes fresh fruit, fresh bread, hot meats, cold meats and cheese. 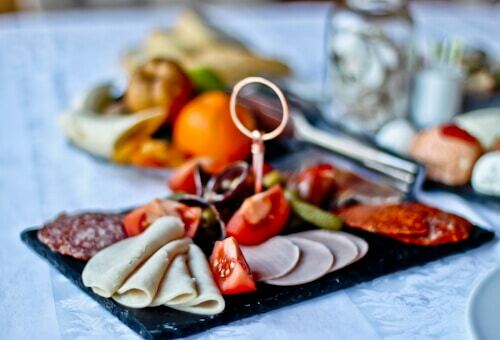 There are a few interesting local Montenegrin delicacies in the buffet too which are interesting to try. To drink you can help yourself to bottomless cups of coffee or tea as well as orange juice. In addition to the breakfast buffet you may also request eggs whichever way you prefer them. Make sure you let the staff know your plans in Budva, they’ll go out of their way to make sure your stay exceeds expectations! For the best room rates visit the Hotel Kadmo website. Alternatively, visit their social media channels through Facebook or Instagram. Montenegro is such an up and coming destination. 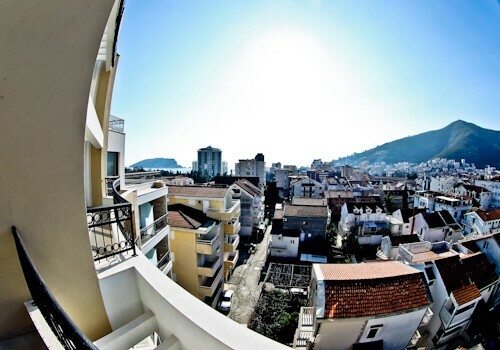 It looks like Budva is the place to go and Hotel Kadmo the place to stay! I’ll definitely remember this hotel, the hotel prices look super too. I visited in winter when it’s peaceful but if you go Summer time it’s packed. I’ve heard the beaches and nightlife are excellent! Everything about this hotel looks sounds perfect. Also the fact it’s brand new with huge rooms and it seems very well designed! Friendly staff are a bonus! Hi Adam, the swimming pool is perfect for the summer months too!